Why Get a PC Tune-Up? What's included in a PC tune-up? Free up disk space on your hard drive. Remove and eliminate temp files and duplicate files. Eliminate the blue screen error messages. Your computer will run faster. Ensure your computer is protected. This PC repair in White Plains, NY, can be done at your nearby location or remotely (we will log into your computer). Technology is an integral part of our lives in today’s modern age. When our computers breakdown, in many cases, it’s more than just a frustrating inconvenience. If your home computers go down, it can bring the flow of your day to grinding halt--and it’s even more problematic if you run a business from home. You may be inclined to research your system’s issue and determine a solution via another electronic device. 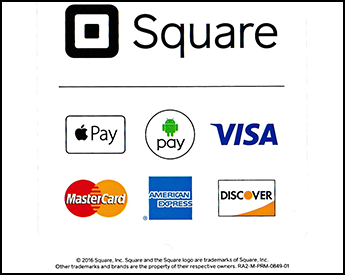 While this is possible, it’s usually not quick and doesn’t come with the assurances that turning to the skilled IT professional at Jim’s Computer Business for PC repair in White Plains, NY, does. Don’t waste your time searching the internet for “computer repair near me.” Instead, turn to Jim’s Computer Business. At my full-service computer repair company, I handle everything from data backup and security enhancement to tune-ups and virus removal. 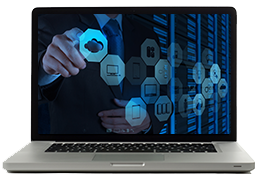 No matter which of our targeted IT services you require, I’m fully prepared to deliver the work you need to get back to your routine as quickly as possible. My computer wasn't working so Jim replaced the hard drive. I was very pleased with Jim's responsiveness to my problem. He diagnosed and repaired the problem immediately so I was able to have my computer back very quickly. He explained the problem to me and what had to be done. He was very professional! Repaired office PC, installed software and networked PC's to backup. Qualified our needs and paid attention to resolving every issue for us. Your knowledge, patience and loyalty have been a great service to me. I have recommended you to many others. Thank you so much, Linda. 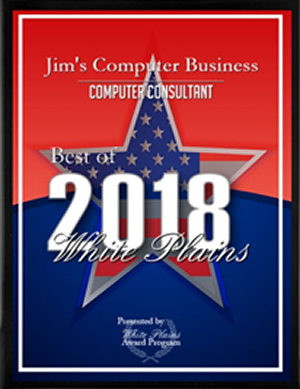 Jim's Computer Business was chosen in the Computer Consultant category on 10/10/18 for White Plains Business Recognition. What is the White Plains Award Program? Each year, in and around the White Plains area, the White Plains Award Program chooses only the best local businesses. We focus on companies that have demonstrated their ability to use various marketing methods to grow their business in spite of difficult economic times. The companies chosen exemplify the best of small business; often leading through customer service and community involvement. For most companies, this recognition is a result of your dedication and efforts as well as the work of others in your organization that have helped build your business. 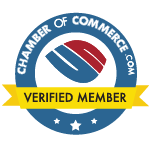 Our team is now a part of an exclusive group of small businesses that have achieved this selection. 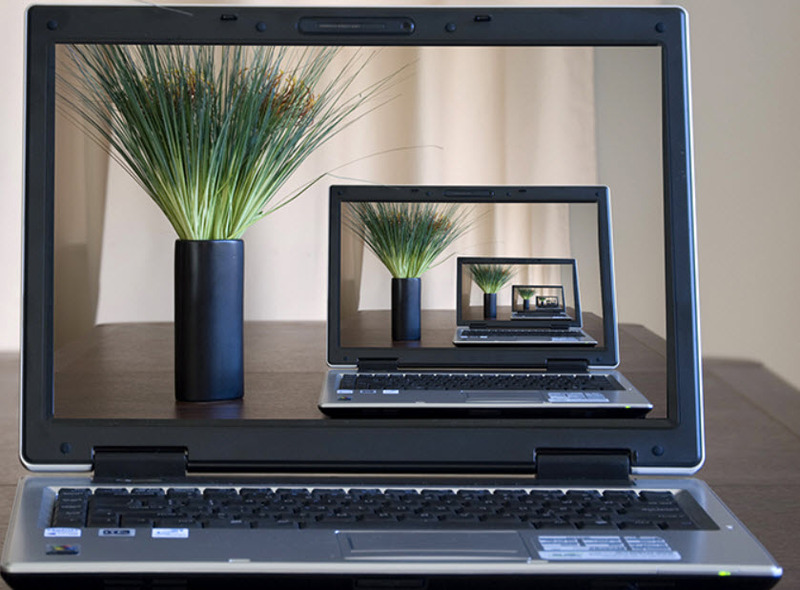 As an extensive electronics user, I understand that the need for a PC repair can be intimidating and even frustrating. That’s why I’m committed to minimizing the inconvenience of untimely breakdowns for my customers by solving a host of problematic computer issues. To best serve you, I always run thorough diagnostics to isolate and correct the problems at hand. As always, I’ll give you a comprehensive rundown of my findings so you’ll understand my processes and the expected outcomes. If you’re looking for more than just repairs, computer and software training are part of the many IT services I provide. So whether I’m fixing an operational issue or helping you get up-to-speed with a recently installed program, you can rest assured that I’ll work endlessly to ensure you’re comfortable using your home computer. Don’t wait until you experience a problem to request assistance. Reach out to me today to explain your needs, and I’ll provide you with a solution that gets your system back up and running sooner than you thought possible. "I figured everything was lost when my laptop crashed - a month's work out the window! A friend of mine told me to bring it to Jim's Computer Business, so I did. In less than two days, they were able to retrieve all the files. Absolutely saved me." - Shaun K.
Contact my computer repair company for optimal solutions to frustrating technological troubles. Based in White Plains, New York, I proudly serve customers throughout Westchester, Lower Rockland, and Fairfield Counties.